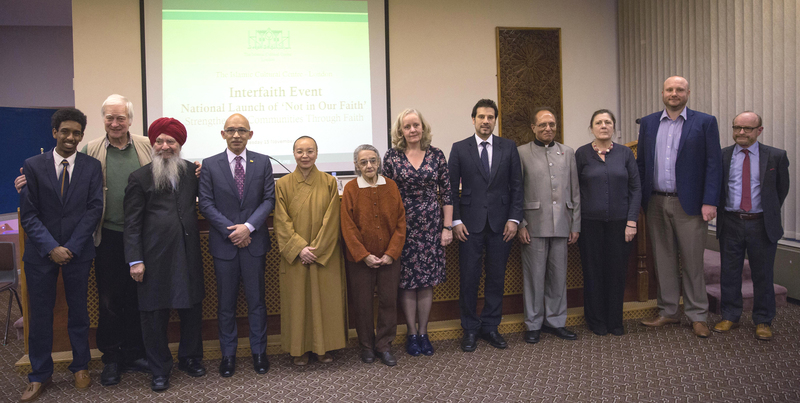 In Celebration of Interfaith week, The Islamic Cultural Centre - London hosted a special interfaith event, where more than 12 different faiths were represented by over 150 faith leaders who were also joined by senior members of the Home Office, Members of Parliament and Embassy representatives also attended the meeting. This event presented a platform from which The Islamic Cultural Centre launched its national 'Not in Our Faith' campaign. To emphasise that the practice of faith is based on prophetic teachings / scriptures of peace, righteousness, moral and ethic codes, forgiveness, humility, kindness and compassion. To 'Build a Stronger Britain' by strengthening communities through faith. To denounce all forms of Terrorism, extremism and hate in the name of faith. 120 Faith organisations have currently signed up to the charter since the launch took place. 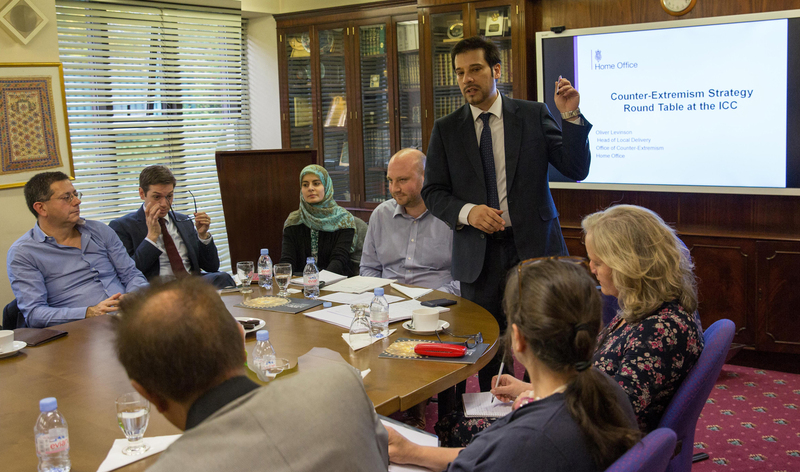 Prior to the launch of the 'Not in our faith' charter, a roundtable discussion in partnership with the Home Office on the governments 'Counter Extremism Strategy' took place. 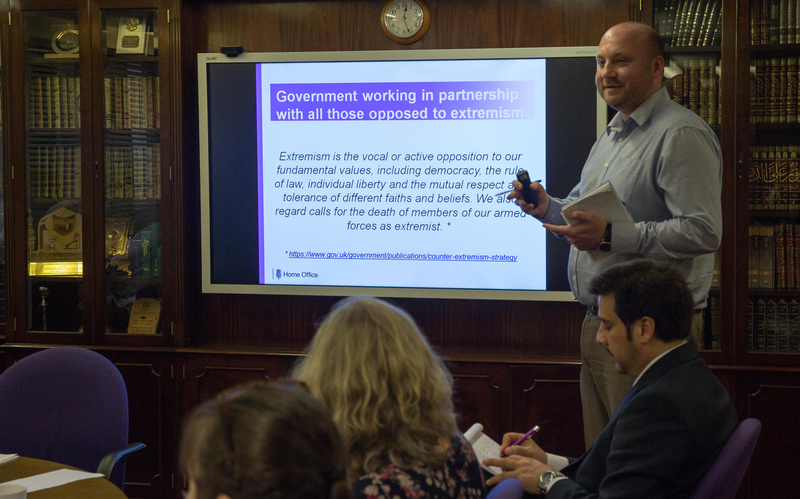 The Centre warmly welcomed Head of Local Delivery for The Office of Counter-Extremism, Mr Oliver Levinson, as the chief guest from the Home Office, who lead the discussion with faith leaders from across the local areas. 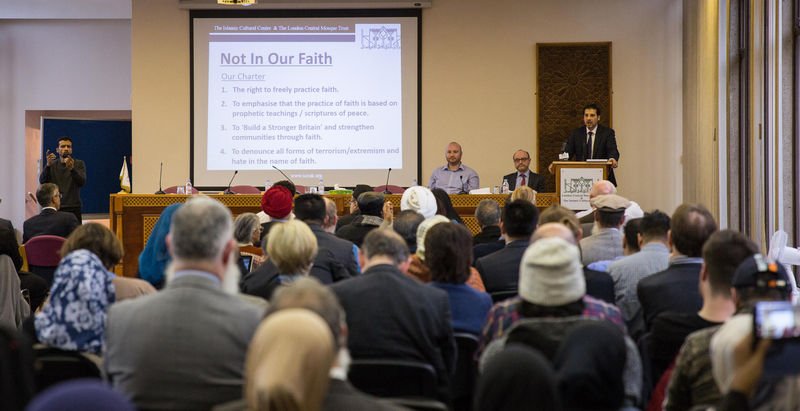 The session was extremely successful in bringing together faith leaders from every religious group to affirm that faith groups & religious organisations are assets to our multicultural and cosmopolitan society and have no link to extremism or harmful ideologies. Mr Ayaz Zuberi on behalf of Dr Dubayan and The Islamic Cultural Centre expressed his gratitude to all the 40 attendees and reinforced ICC's commitment to working with the wider community to tackle and denounce all forms of extremism and terrorism no matter where it takes place in the world. Mr Zuberi concluded by saying that he looked forward to working with the faith communities and the Home Office to further the 'Not in Our Faith' national campaign.